In 1941 the Maharja of Baroda, His Highness Pratapsingh Gaekwad brought an unusual Gift for his childrens. It was Small model of the The Flying Scotsman train that used to take the Princes & Princesses around the Palace Grounds. A 3 KM long mini railway track was laid in the Lukshmi Villas Palace grounds. 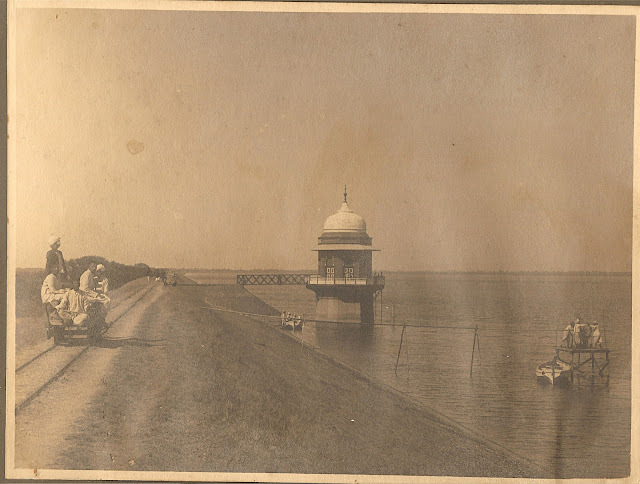 The miniature train travelled from the Palace to the Princes School – which is now the Maharaja Fatehsingh Musuem – and circled the Palace orchards before returning to the Palace. The Train had 3 compartments with a sitting Capacity of about 30 children. In 1941 this Little masterpiece had its maiden run on the third birthday of the present Maharaja, H.H. Maharaja Ranjitsinh Gaekwad. Built by Mr. Bullock, the owner of of Surrey Border & Camberley Railway (SB&CR) in 1936. This Locomotive was a Scale model of LNER Gresley A3 class Pacific (the London & North Eastern railway) and initially named Harvester. The Original Harvester prototype was one of the engines which pulled the famous Flying Scotsman train. In the 1940’s the Flying Scotsman was the most popular train among the LNER community running between London & Edinburgh and so the locomotive hauling this train also came to be known as the Flying Scotsman. In 1956 the Royal family gifted this Train to the Children of Baroda. The Vadodara Mahanagar Seva Sadan (VMSS) transferred the tracks earlier laid in the Palace Campus to the Sayaji Baug Public Park so that they could run joy rides for the children. In 1993 the boiler of the steam engine got destroyed and hence the original engine was retired to a shed. On May 15, 2001, the original toy steam engine, The Flying Scotsman, was returned to its original home, the Palace Compound. 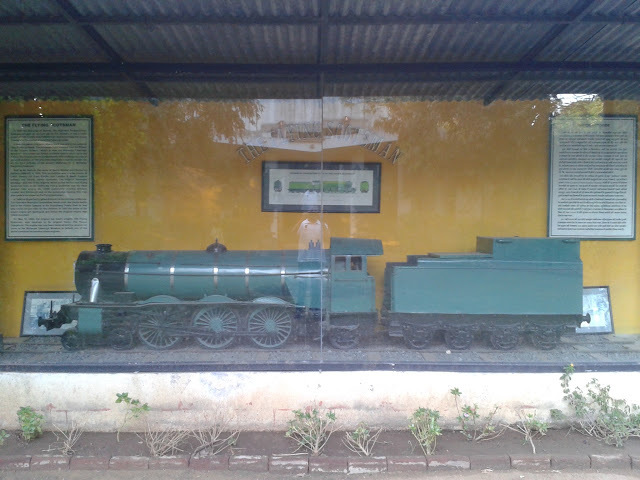 The engine has now been restored and the people can come to the Maharaja Fatehsingh Museum to behold one of the Worlds’s Smallest Locomotive Steam Engines.